Tinhouse, a new Skye croft house that cleverly combines traditional Highland sheds with the futuristic spirit of 1960s US Airstream caravans, raises the stakes when it comes to the concept of ‘a labour of love’. Indeed, it has taken the best part of five years in all to design and build it, with architect Alan Dickson spending almost every weekend for three years working on the house. 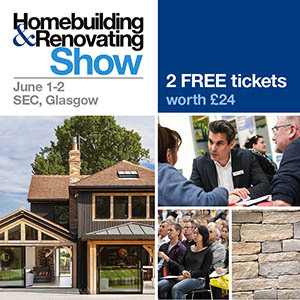 Still, Alan, who designed Tinhouse together with his wife Gill Smith (both are principals of Skye-based Rural Design), admits that it’s a labour of love that has been all about long-term gain rather than any real or imagined short-term pain. 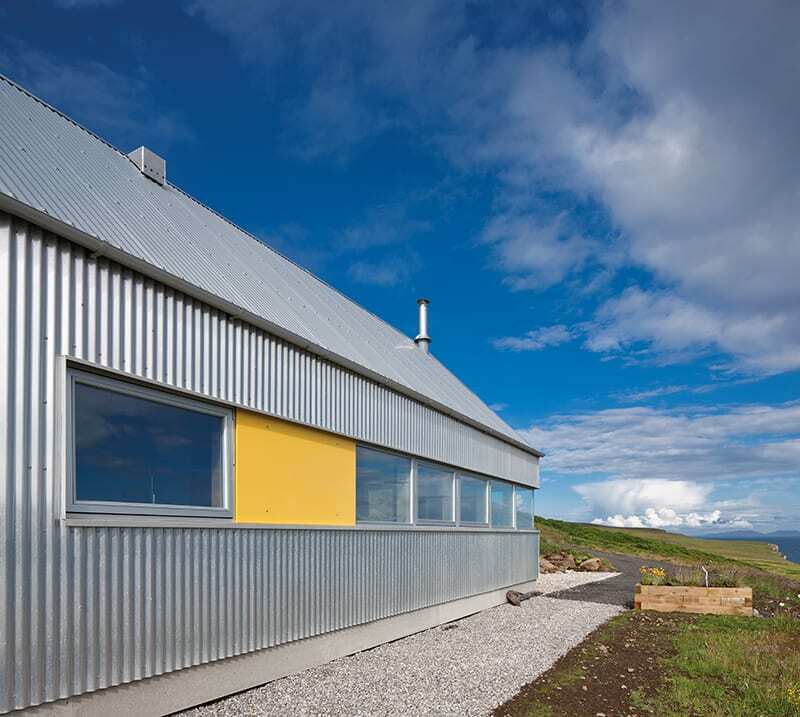 “The architecture and building industry is vulnerable to the ups and downs of the economy,” explains Alan, who lives with Gill and their family in a neighbouring self-built house on their croft on Skye’s Duirinish peninsula. “We thought that if we had a little place that we could also rent out as holiday accommodation, it would be a comfort. Getting there has been a long process, though – we weren’t in any position to act on the idea during the recession. The couple were keen to embrace a back-to-basics approach with Tinhouse. 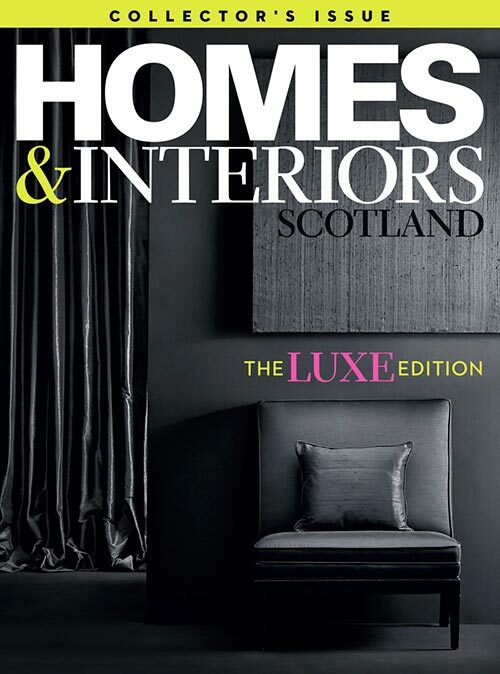 “At the point that we decided to go ahead with the project, we had just designed a few houses on Skye that were formally quite unusual,” says Gill. “So we thought that it would be good to return to designing a simple, traditional long house with a pitched roof. This ‘less is more’ approach saw the building’s design sail through planning. Getting approval for its site was an altogether more challenging proposition, however. “The logistics were a big deal as it was too steep to get concrete deliveries for the foundations, which meant that the house had to built on columns rather than a ground-bearing slab. But this meant that I could do the foundations myself,” says Alan. Once the foundations were in place, the one-man artisanal build began. “The materials were mostly chosen to allow it to be easily built by one person. 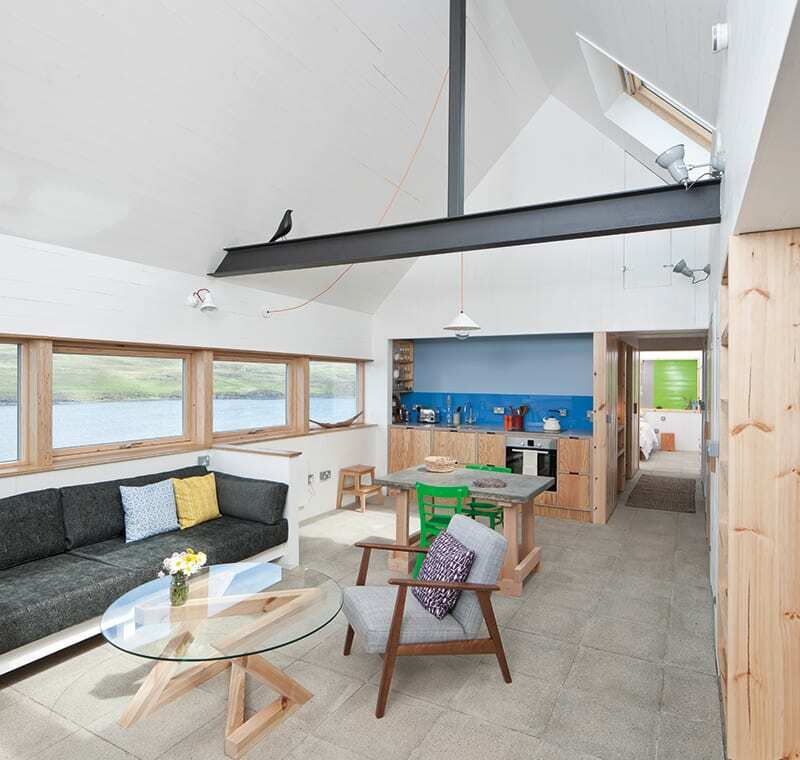 The whole idea of Tinhouse is really to celebrate the handmade self-build tradition.